Zantrex Black promises to aid in weight loss, boost energy, increase performance, increase metabolism, and provide mental clarity. 1. What is Zantrex Black? 5. How Does Zantrex Black Work? 6. What Diet is It Friendly With? 7. Who can use Zantrex? 12. Are there Any Allergy Concerns? 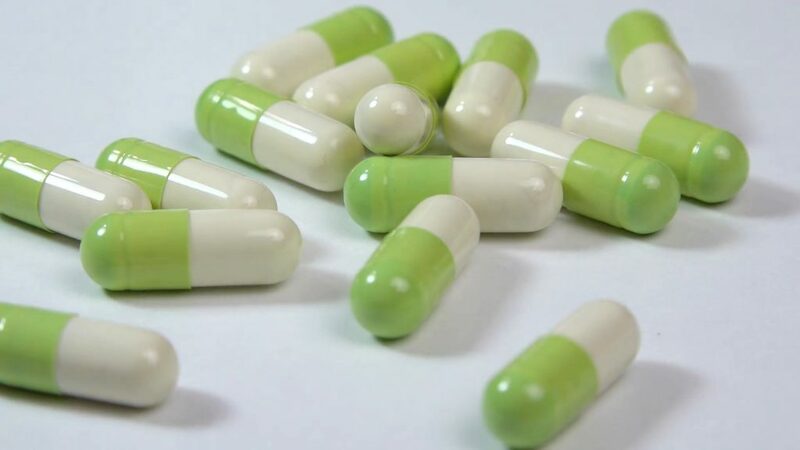 For a decade, Zollar Labs have manufactured weight loss pills and health-based products, and now they have introduced another–Zantrex Black, which unlike their other products promises to aid in rapid weight loss. Formulated with a rapid release formula, Zantrex Black claims to aid in weight loss, boost metabolism, curb hunger, and increase energy. But, does it work? Are the supplements real or fake? Read this detailed review for more info on Zantrex Black active ingredients, benefits, side effects, and scientific-research if any. Zantrex black is a dietary supplement designed with a rapid and high-velocity weight loss formula that is supposed to reduce appetite and cravings, boost energy, and increase metabolism. What sets them apart is the caffeine content– it is reported that Zantrex Black caffeine content is equivalent to 4 cups of coffee per day. Furthermore, the supplements contain green tea, black tea leaf extract, Guarana among others, which helps to burn fat and boost energy. For weight loss, adults take 2 softgels with a full glass of water 15 minutes before main meals. Zollar Laboratories, founded in 2002, is behind Zantrex Black among other health-based products for boosting energy. Initially, the Company produced Zantrex-3 Red that burns fats and encourages Lipolysis (the release of fat) followed by Zantrex-3 blue which is ephedrine-free and yields in weight loss. Zantrex Black can be bought from the Official website or Amazon. Zollar Labs offers other products that can promote weight and fat loss. SkinnyStix. It is an on-the-go, super-delicious weight loss formula that elevates your mood, promotes weight loss, and improves focus. Zantrex Fat Burning Protein. Its main ingredient is protein, and it helps to build muscles and burn fat. The supplements come in two flavors; Vanilla bean and chocolate. It features top-rated ingredients that have been clinically tested to target appetite control, mood elevation, thermogenesis, energy, weight loss, stamina, and more. Also known as B3, Niacin helps to convert food into energy and increases blood flow. Additionally, it helps to keep skin, digestive, and nervous system healthy. Yerba Mate or Brazillian tea is believed to have similar strength to coffee. The mate extract is rich in antioxidants that help to fight free radicals, boosts energy, improve mental function, protects against infection, increases physical performance, and lower blood sugar levels. Green tea extracts contain antioxidants, promotes heart health, aid in weight loss, and improves brain function. Guarana contains coffee that stimulates the central nervous system, muscles, and heart. It also contains Theobromine and Theophylline that are similar to caffeine. Apart from boosting energy, Guarana can increase exercise tolerance, weight loss, performance, and anxiety. Damiana contains caffeine, flavonoid antioxidants, and essential oils that decreases depression, anxiety, and nervousness, relieving constipation, fighting muscle aches, insomnia, and pain. Balck tea is extracted from the Camellia Sinensis plant and is high in caffeine compared to other beverages. Black tea helps to fight free radicals, lowers bad cholesterol, and improves mental alertness. Zantrex suppresses hunger, boosts energy (due to its caffeine content) which helps you to work out longer, and eventually aids in weight loss. However, even though suppressing hunger can aid in weight loss, the results are not long-term. Nutritionists and other health experts warn against appetite suppressing because it can produce side effects including constipation, dizziness, insomnia, and stomach pain. Zantrex is ideal for anyone in need of rapid weight loss, active athletes, and gymnasts. Zollar Labs claim Zantrex can provide up to 500% weight loss compared to other dietary supplements, especially if taken before exercises. Additionally, the supplements provide instant gratification when it comes to boosting energy. This formula features top-rated ingredients that have been clinically tested to target appetite control, mood elevation, thermogenesis, energy, weight loss, stamina, and more. Zantrex black is a dietary supplement, and thus it does not have a prescription. However, the manufacturer has provided the recommended dosage: you should consume two softgels fifteen before meals, followed by a full glass of water. important notice. You can also increase the dosage based on your body needs, but don’t exceed 6 capsules within a 24-hour period. Zantrex Black should not be taken with other Zantrex-3 products. Also, avoid caffeine intake while consuming the supplements. 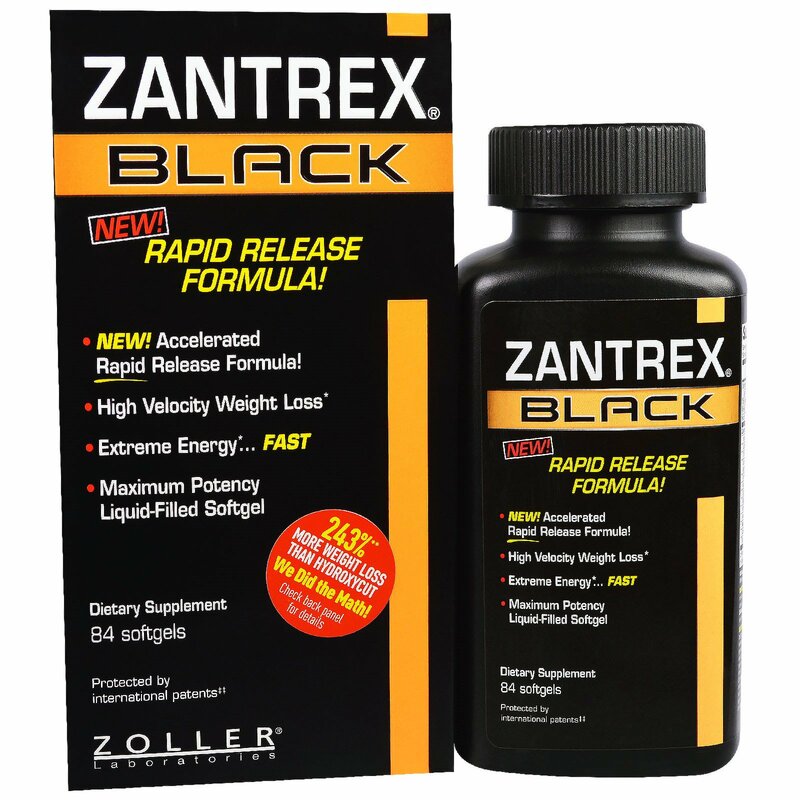 Zantrex black is formulated with Xanthine and a mixture of botanicals that aid in rapid weight loss. Additionally, it has a high caffeine content that boosts energy and workout performance. Besides taking the dietary supplements, it is essential to create a healthy diet, workout regularly, and get enough sleep for long-term weight loss results. Metabolism affects your energy levels, body temperature, and how you gain and lose weight. A slow metabolism can trigger weight gain and chronic fatigue. Taking Zantrex Black can increase metabolism because of its caffeine content. Caffeine triggers the release of neurotransmitters linked to metabolism and energy. You can also fix your slow metabolism by increasing protein intake, iodine-rich foods, and green tea. Even though caffeine can trigger metabolism, too much intake will slow it. So, if you are taking the Zantrex supplements, don’t consume caffeine or sugary foods. Take note. FDA has not approved or validated any of Zantrex claims. Most Zantrex side effects are linked to the high quantities of caffeine and caffeine-related stimulants. 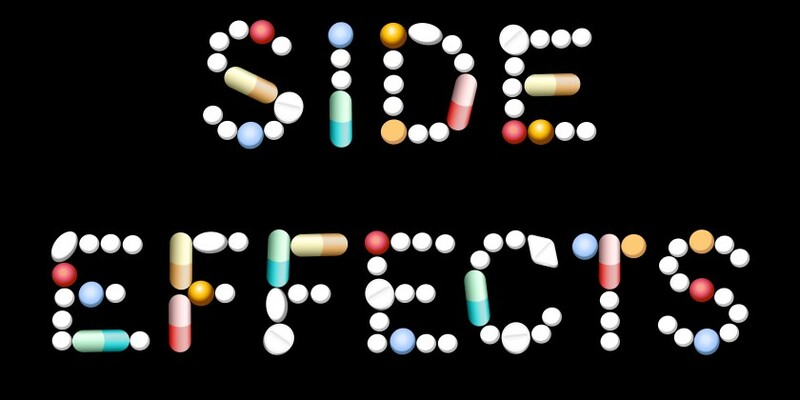 These side effects include nervousness, insomnia, nausea, and irritability. Ginseng, on the other hand, can affect the menstrual cycle, trigger loss of appetite, headaches, and increased heart rate. Do not exceed suggested daily serving. Zantrex Black promises to deliver excellent results if taken according to the given instructions. However, there are some precautions to be observed to avoid any side effects. Limit the intake of caffeine and caffeine-rich foods as excessive intake can cause side effects. All supplements present a set of pros and cons including Zantrex. Zollar Labs offers a 30-day return policy if you are not satisfied with the results. But, the policy applies if bought via their official website. 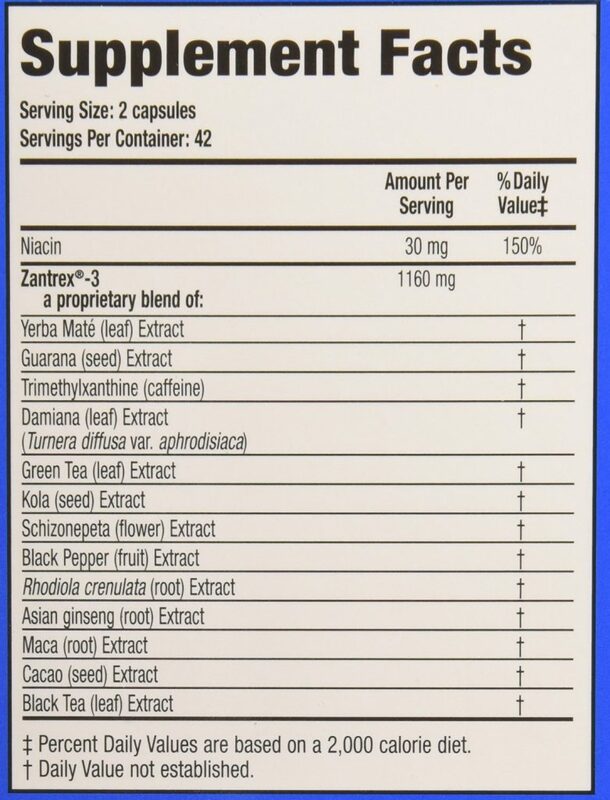 Each Zantrex bottle contains 84 softgels and costs between $19.98 and $39.99 depending on where you purchase the supplements. Would I recommend Zantrex Black? No. If you want to lose weight, a change your diet and a workout routine will promote healthy weight loss. And, when it comes to supplements, consider choosing diet pills with sufficient research and one that provides fewer side effects. One product I would recommend is Flat Tummy. It is a herbal detox supplement that reduces bloating, boosts energy, and supports your metabolism.